Allied Mobility is pleased to announce that the new look Ford Independence™ is now available for home demonstration. 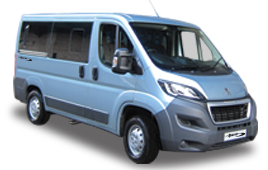 Based on the Ford Tourneo Custom, this medium-sized wheelchair accessible vehicle offers multiple seating options for larger families and an abundance of space. Powered by Ford’s EcoBlue 2.0-litre engine, the WAV now features a bold five-bar chrome grille, brand new daytime running lights and 17-inch alloy wheels. The eight-inch colour display screen adds the finishing touch that brings the vehicle into a world of new technology. 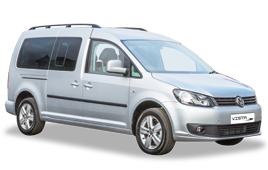 To meet different needs and preferences, Independence™ is available with a variety of seating layouts and comes in a choice of models. The RS now features reversable middle row seating, allowing able bodied passengers to sit facing the wheelchair passenger. The lowered floor in the RE offers extra headroom while the Twin can accommodate two wheelchair passengers. 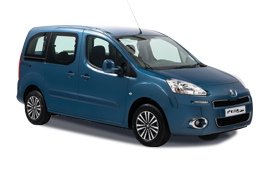 The vehicle also comes fitted with an electric winch, privacy glass and parking sensors as standard. Compatible with iPhone and Android devices, Ford’s SYNC 3 technology has opened a world of hands-free freedom. Using voice commands, you can control an abundance of features including phone calls, text messaging and music. Sync up to AppLink and you can use the eight-inch touchscreen as if it were your mobile handset allowing you to access your favourite apps. Ever find it a hassle taking your car to the garage to get serviced? Or even remembering when it is time to get your car serviced? The good news is you no longer have to! 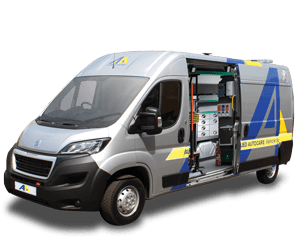 Our sister organisation, Allied Autocare, now offers nationwide mobile servicing, together with a handy reminder service. All you have to do is let us know where and when suits you best and we’ll do the rest. If you’re a Motability WAV Scheme customer or you bought a new wheelchair accessible vehicle directly from Allied Mobility, you’ll also receive a free-of-charge annual safety check of all the adapted features of your wheelchair accessible vehicle. To make life as easy as possible, we’ll plan this in at the same time as your vehicle maintenance service is due, so everything is taken care of in the one visit. If you would like to arrange a no obligation, free home demonstration call our knowledgeable team on 0800 916 3018 or enquire here.